Studying objects in space? 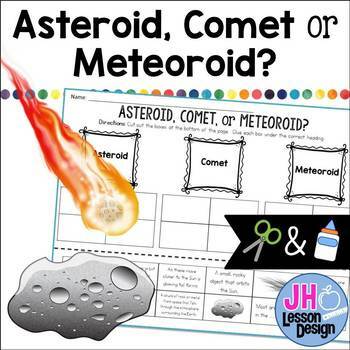 This activity provides a fun, engaging, and meaningful way to practice identifying asteroids, comets and meteoroids. 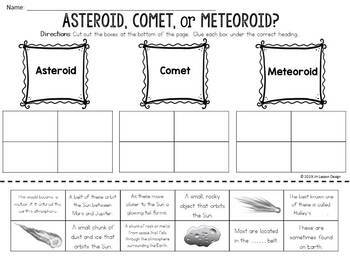 Students will cut out examples and glue them in the correct column.